G.R. No. 50654 November 6, 1989 - RUDY GLEO ARMIGOS v. COURT OF APPEALS, ET AL. G.R. No. 53401 November 6, 1989 - ILOCOS NORTE ELECTRIC COMPANY v. COURT OF APPEALS, ET AL. G.R. No. 57876 November 6, 1989 - FRANCISCA PUZON GAERLAN v. COURT OF APPEALS, ET AL. G.R. No. 60159 November 6, 1989 - FAUSTO ANDAL v. SANDIGANBAYAN, ET AL. G.R. No. 63462 November 6, 1989 - PEOPLE OF THE PHIL. v. JOSE PIRRERAS, ET AL. G.R. No. 74431 November 6, 1989 - PURITA MIRANDA VESTIL, ET AL. v. INTERMEDIATE APPELLATE COURT, ET AL. G.R. Nos. 74989-90 November 6, 1989 - JOEL B. CAES v. INTERMEDIATE APPELLATE COURT, ET AL. G.R. No. 79743 November 6, 1989 - MARIA PILAR MARQUEZ v. COURT OF APPEALS, ET AL. G.R. Nos. 83938-40 November 6, 1989 - PEOPLE OF THE PHIL. v. HENRY B. BASILLA, ET AL. G.R. No. 84458 November 6, 1989 - ABOITIZ SHIPPING CORPORATION v. COURT OF APPEALS, ET AL. G.R. No. 84497 November 6, 1989 - ALFONSO ESCOVILLA, JR., ET AL. v. COURT OF APPEALS, ET AL. G.R. No. 84979 November 6, 1989 - STRONGHOLD INSURANCE CO. INC. v. COURT OF APPEALS, ET AL. G.R. No. 85085 November 6, 1989 - ASSOCIATED LABOR UNIONS v. PURA FERRER-CALLEJA, ET AL. G.R. Nos. 86540-41 November 6, 1989 - MANTRUSTE SYSTEMS, INC. v. COURT OF APPEALS, ET AL. G.R. Nos. 89095 & 89555 November 6, 1989 - SIXTO P. CRISOSTOMO v. SECURITIES AND EXCHANGE COMMISSION, ET AL. G.R. Nos. 68580-81 November 7, 1989 - AGUSTIN T. DIOQUINO, ET AL. v. INTERMEDIATE APPELLATE COURT, ET AL. G.R. No. 82895 November 7, 1989 - LLORA MOTORS, INC., ET AL. v. FRANKLIN DRILON, ET AL. G.R. No. 48518 November 8, 1989 - GREGORIO SANTIAGO v. COURT OF APPEALS, ET AL. G.R. No. 55750 November 8, 1989 - RUBEN MELGAR, ET AL. v. CARLOS R. BUENVIAJE, ET AL. G.R. No. 74817 November 8, 1989 - SIMEON ESTOESTA, SR., ET AL. v. COURT OF APPEALS, ET AL. G.R. No. 78051 November 8, 1989 - ISAGANI M. JUNGCO v. COURT OF APPEALS, ET AL. G.R. No. 78413 November 8, 1989 - CAGAYAN VALLEY ENTERPRISES, INC. v. COURT OF APPEALS, ET AL. G.R. No. 72323 November 9, 1989 - MANUEL VILLAR, ET AL. 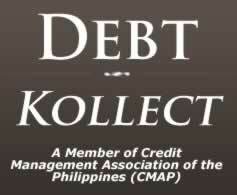 v. PHILIPPINE DEPOSIT INSURANCE CORP., ET AL. G.R. No. 82805 November 9, 1989 - BRIAD AGRO DEVELOPMENT CORPORATION v. DIONISIO DELA CERNA, ET AL. G.R. No. 86819 November 9, 1989 - ADAMSON UNIVERSITY v. ADAMSON UNIVERSITY FACULTY AND EMPLOYEES ASSOCIATION, ET AL. G.R. No. 89651 November 10, 1989 - FIRDAUSI I.Y. ABBAS, ET AL. v. COMMISSION ON ELECTIONS, ET AL. G.R. Nos. 53926-29 November 13, 1989 - PEOPLE OF THE PHIL. v. MANUEL MATEO, JR., ET AL. G.R. No. 66944 November 13, 1989 - ALLIANCE TOBACCO CORPORATION, INC. v. PHILIPPINE VIRGINIA TOBACCO ADMINISTRATION, ET AL. G.R. No. 75041 November 13, 1989 - ROSA N. EDRA, ET AL. v. INTERMEDIATE APPELLATE COURT, ET AL. G.R. No. 79403 November 13, 1989 - EMETERIO M. MOZAR v. COURT OF APPEALS, ET AL. G.R. No. 83664 November 13, 1989 - RENATO S. SANTOS v. COURT OF APPEALS, ET AL. G.R. No. 49668 November 14, 1989 - POLICARPIO GALICIA, ET AL. v. WENCESLAO M. POLO, ET AL. G.R. Nos. 79050-51 November 14, 1989 - PANTRANCO NORTH EXPRESS, INC. v. MARICAR BASCOS BAESA, ET AL. G.R. No. 83870 November 14, 1989 - PEOPLE OF THE PHIL. v. REYNATO ASUNCION, ET AL. G.R. No. 63396 November 15, 1989 - PEOPLE OF THE PHIL. v. ARNULFO LISTON, ET AL. G.R. No. 64414 November 15, 1989 - PEOPLE OF THE PHIL. v. SABINO VERONAS, ET AL. G.R. No. 71159 November 15, 1989 - CITY OF MANILA, ET AL. v. INTERMEDIATE APPELLATE COURT, ET AL. G.R. No. 80486 November 15, 1989 - SALVADOR ESMILLA, ET AL. v. FEDERICO ALVAREZ, ET AL. G.R. Nos. 83380-81 November 15, 1989 - MAKATI HABERDASHERY, INC., ET AL. v. NATIONAL LABOR RELATIONS COMMISSION, ET AL. G.R. No. 84484 November 15, 1989 - INSULAR LIFE ASSURANCE CO., LTD. v. NATIONAL LABOR RELATIONS COMMISSION, ET AL. G.R. No. 88379 November 15, 1989 - PHILIPPINE CHARTER INSURANCE CORPORATION v. COURT OF APPEALS, ET AL. G.R. Nos. 90273-75 November 15, 1989 - FINMAN GENERAL ASSURANCE CORP. v. WILLIAM INOCENCIO, ET AL. A.C. No. 2974 November 15, 1989 - ROGELIO A. MIRANDA v. ORLANDO A. RAYOS, ET AL. G.R. No. 69122 November 16, 1989 - PEOPLE OF THE PHIL. v. PEDRO T. OLAPANI, ET AL. G.R. No. 83286 November 16, 1989 - PEOPLE OF THE PHIL. v. FERNANDO T. HERNANDEZ, ET AL. G.R. No. 83828 November 16, 1989 - LEONOR MAGDANGAL, ET AL. v. CITY OF OLONGAPO, ET AL. G.R. No. 84628 November 16, 1989 - HEIRS OF ILDEFONSO COSCOLLUELA, SR., INC. v. RICO GENERAL INSURANCE CORPORATION, ET AL. G.R. No. 45061 November 20, 1989 - DIRECTOR OF LANDS v. COURT OF APPEALS, ET AL. G.R. Nos. 30475-76 November 22, 1989 - GENERAL INSURANCE & SURETY CORPORATION v. UNION INSURANCE SOCIETY OF CANTON, ET AL. G.R. Nos. 48468-69 November 22, 1989 - ORLANDO PRIMERO v. COURT OF APPEALS, ET AL. G.R. No. 61466 November 22, 1989 - ENRIQUE T. JOCSON, ET AL. v. ALFONSO BAGUIO, ET AL. EASTERN ASSURANCE & SURETY CORPORATION v. INTERMEDIATE APPELLATE COURT, ET AL. G.R. No. 79886 November 22, 1989 - QUALITRANS LIMOUSINE SERVICE, INC. v. ROYAL CLASS LIMOUSINE SERVICE, ET AL. G.R. No. 88725 November 22, 1989 - ASIAN TRANSMISSION CORPORATION v. NATIONAL LABOR RELATIONS COMMISSION, ET AL. G.R. No. 38984 November 24, 1989 - MACARIO D. EMBUSCADO v. PEOPLE OF THE PHIL., ET AL. G.R. No. 60690 November 24, 1989 - VIRGINIA JORGE, ET AL. v. FRANCISCO Z. CONSOLACION, ET AL. G.R. No. 79564 November 24, 1989 - AURORA B. CAMACHO v. COURT OF APPEALS, ET AL. G.R. No. 80405 November 24, 1989 - PEOPLE OF THE PHIL., ET AL. v. ARNEL MITRA, ET AL. G.R. Nos. 46898-99 November 28, 1989 - PHIL. 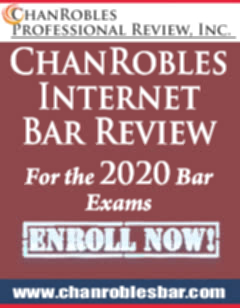 NATIONAL BANK v. RUSTICO DE LOS REYES, ET AL. G.R. No. 79351 November 28, 1989 - DEVELOPMENT BANK OF THE PHILIPPINES v. SECRETARY OF LABOR, ET AL. G.R. No. 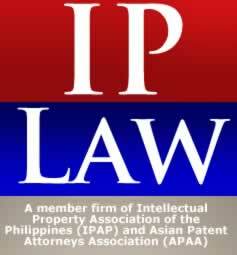 85141 November 28, 1989 - FILIPINO MERCHANTS INSURANCE CO., INC. v. COURT OF APPEALS, ET AL. G.R. No. 86025 November 28, 1989 - RODOLFO R. AQUINO, ET AL. v. DEODORO J. SISON, ET AL. G.R. No. 51655 November 29, 1989 - VICENTE DEL ROSARIO v. JULIO BANSIL, ET AL. G.R. No. 72199 November 29, 1989 - ADELINO R. MONTANEZ, ET AL. v. PEOPLE OF THE PHIL. G.R. No. 82304 November 29, 1989 - HONORATO M. FRUTO v. RAINERO O. REYES, ET AL.